Thank you, Gardner, Jameela, Katie, and Brendan. Congratulations, David! I look forward to reading it! 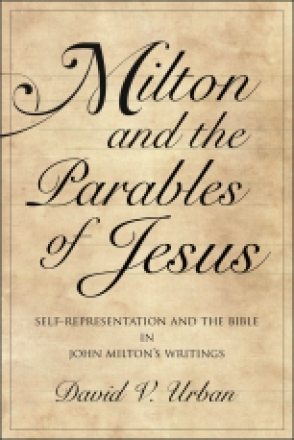 I'm happy to announce the publication of Milton and the Parables of Jesus: Self-Representation and the Bible in John Milton's Writings (Penn State UP,  2018). Many contributors to Milton-L are cited and engaged, so I hope you'll take a look at it and consider ordering it for your school libraries. Milton and the Parables of Jesus. Self-Representation and the Bible in John Milton’s Writings. David V. Urban In Milton and the Parables of Jesus, David V. Urban examines Milton’s self-referential use of figures from the New Testament parables in his works of poetry and prose.